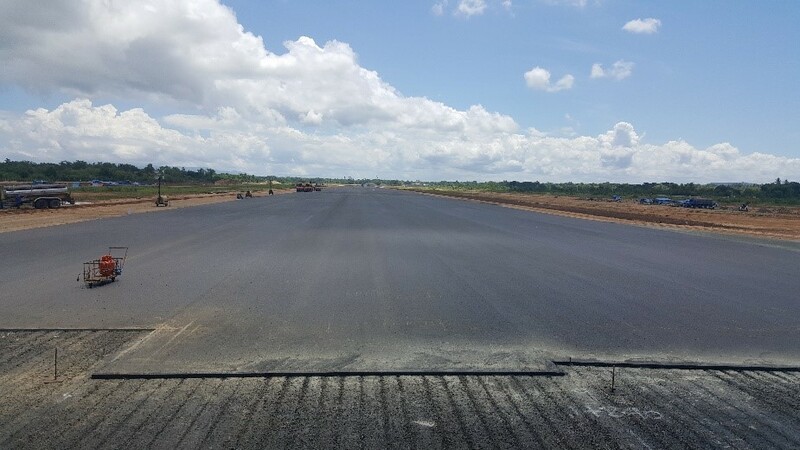 With the increasing growth in passenger traffic arriving at the tourist attractions in the Philippines for holidays, a bigger airport with improved access road system is needed to handle these passengers and better connect them to the attractions and the city. The New Bohol International Airport is newly constructed on Panglao Island, Bohol province in central Philippines. The airport is designed with a tropical resort concept, including a 3,000m runway and a passenger terminal building with a capacity of 1 million passengers a year. This project costing an estimated 7.4 billion Philippine peso (approximately 156 million US Dollars) will replace the existing Tagbilaran airport, the country’s 11th busiest airport. 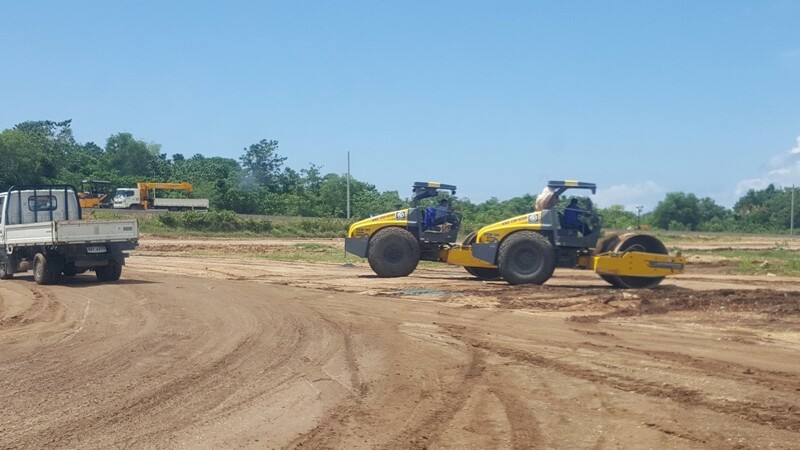 EEI Corporation is the sub-contractor for the new Bohol airport project, handling the civil works. Using Dynapac road equipment supplied by Kilton Motor Corporation, EEI was able to work on the project in a timely and efficient manner. 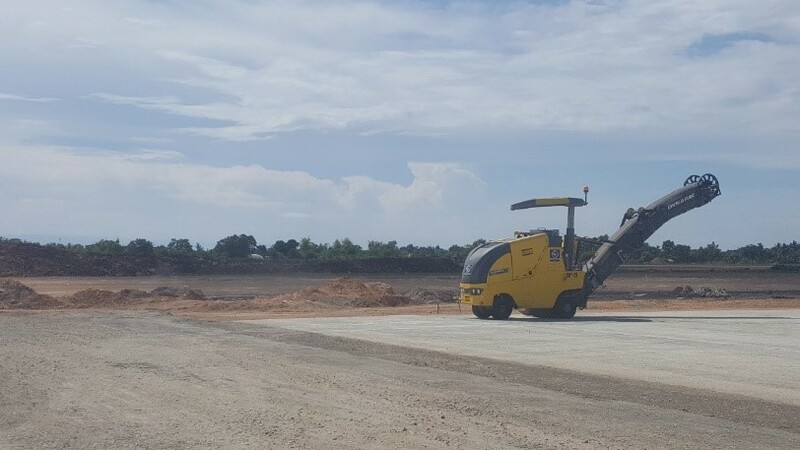 The single drum vibratory rollers, Dynapac CA250, were used for land development in the area. As a medium heavy vibratory soil compactor, the CA250 is designed for long working days and utilised for compaction of most types of soil. All types of base and reinforcement courses can be compacted to considerable depth. The 35mm hitch drum ensured excellent resistance to wear, even in compaction operations on rockfill. To scrap base asphalt before overlay, the compact planer Dynapac PL500 was used. With an engine output of 97kW as well as belt drive that operates with almost no power loss, the Dynapac PL500 effortlessly achieved a milling depth of 200mm. The combination of intelligent weight distribution, mechanical drum drive and quickly detachable rear discharge conveyor was ideal for powerful milling on the large surfaces of the airport. 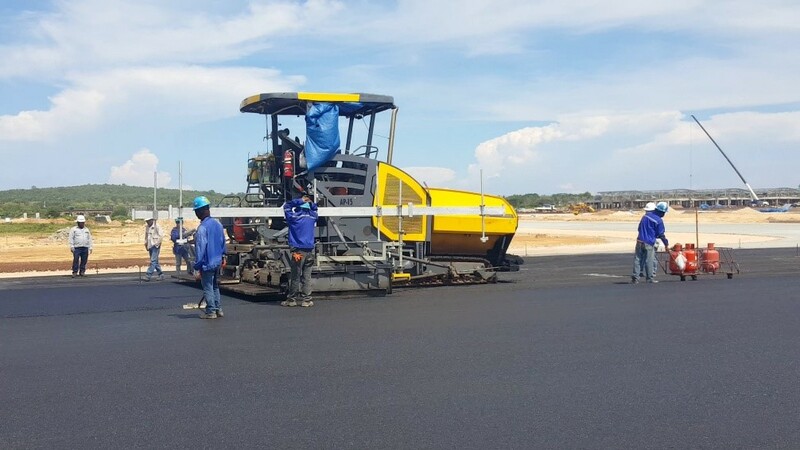 Paving the 3 kilometre runway with three layers of asphalt required outstanding logistics. Care must always be taken to ensure that sufficient mix is available and that the material does not cool. The Dynapac SD2500CS large tracked paver offered extremely stable high performance free floating screeds with the patented four-guiding tube principle. Coupled with an optimised gas heating system that significantly reduces heat-up time and creates even heat distribution, the SD2500CS was able to achieve amazing pavement quality from the first stretch of track. Committed to customer performance, Dynapac continues to develop and deliver excellent innovative equipment for compaction, paving and milling applications.